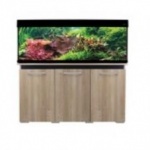 Aqua One AquaVogue 135 aquarium and cabinet in nash oak with black ensures crystal clear water conditions for enhanced health throughout the tank. Aqua One AquaVogue 135 aquarium and cabinet in white gloss with grey ensures crystal clear water conditions for enhanced health throughout the tank. Aqua One AquaVogue 170 aquarium and cabinet in nash oak with black ensures crystal clear water conditions for enhanced health throughout the tank. 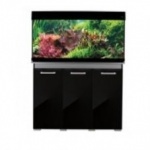 Aqua One AquaVogue 170 aquarium and cabinet in black gloss with grey ensures crystal clear water conditions for enhanced health throughout the tank. Aqua One AquaVogue 170 aquarium and cabinet in walnut with gloss black ensures crystal clear water conditions for enhanced health throughout the tank. Aqua One AquaVogue 170 aquarium and cabinet in white gloss with grey ensures crystal clear water conditions for enhanced health throughout the tank. 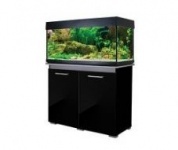 Aqua One AquaVogue 245 aquarium and cabinet in black gloss with grey ensures crystal clear water conditions for enhanced health throughout the tank. Aqua One AquaVogue 245 aquarium and cabinet in nash oak with black ensures crystal clear water conditions for enhanced health throughout the tank. Aqua One AquaVogue 245 aquarium and cabinet in white gloss with grey ensures crystal clear water conditions for enhanced health throughout the tank.